I have lived near Pinola, Indiana on and off for over 25 years now. It is just a small place, but over the years I have always made it sound much bigger than it was. In fact if you look at the name of my Facebook photo page it is Pinola Photography. I thought that it was only fitting that a picture had to make the site from Pinola. There is not much left to get pictures of so I settled on these tracks and the water tower. The tower used to say Pinola on it, but now it pretty much sums up what happened to the town. I have posted another shot of the tower with the old Plimpton Press factory in the foreground on both my Facebook and Flickr pages. I also have a couple shots from a shoot I did for a neighbor today of her Christmas lights on both pages. 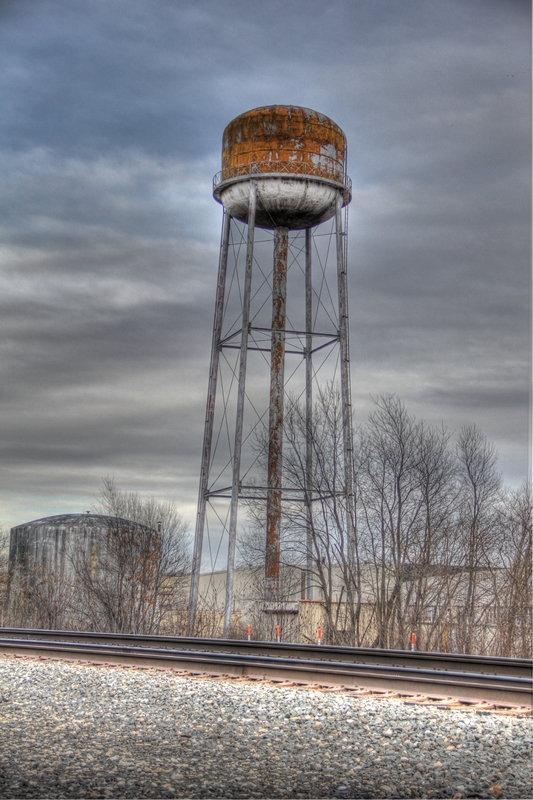 I have started working out the kinks in the HDR process. I think that I have figured out how to get rid of the halo around the subjects by adding three more pictures to the recipe. Instead of a quick three picture compilation I now use six for shots like this. I have been having fun shooting this way so I just have to keep learning to get better. Who knows what tomorrow will bring?